Deer have long been part of human art and culture, from coins and stamps to artwork and poetry. In mythology, deer have been considered determined snake killers and, according to Norma Chapman in her 1991 book Deer, Fallow were introduced to the Greek island of Rhodes by the Knights of the Order of St. John of Jerusalem in a bid to quite literally ‘stamp out’ the snakes. The subject of deer in human art and culture is covered in great depth by G. Kenneth Whitehead in his 1993 The Whitehead Encyclopedia of Deer; that which follows is based heavily on the information presented by the late Whitehead, who was undoubtedly one of the most inspiring figures the pursuit of deer stalking has ever known. Perhaps the most common use of deer in our western culture is in their inclusion into family crests and coats of arms – that is to say, deer as a feature of heraldry. In his encyclopaedia, Whitehead lists just under 1,300 (I counted 1,285) family names with a crest featuring a deer. It seems that such crests can be divided into 11 groups, running from A to K, in accordance with the type of image they contain; the species, all whole or part of the animal, what it’s doing and so forth. By far the most common class is I, which shows a stag’s or buck’s head, while the least common seems to be C, which depict a stag or buck “at gaze”, with only 12 associated families. Of course, deer don’t only show up in family crests – they also feature in corporate and military crests. Whitehead follows George Briggs’ earlier (1971) work on deer in Civic and Corporate Heraldry and lists, again by my count, 127 councils, schools/universities, societies and companies that include deer in their crests. These include Oxford University’s Jesus College and the University of Southampton. 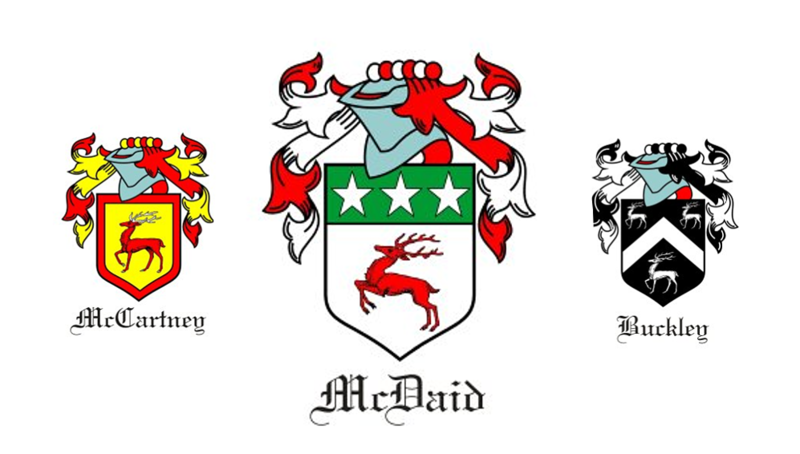 Whitehead goes on to list 10 military units and nine Scottish clans who feature (or have featured) deer on their crests. Not only do some towns and cities bear deer in their crests, some have names relating to deer. In an unpublished study of place names, Sarah Beswick listed more than 250 that contain reference to deer. These include places like Hindhead in Surrey, Buck Hill in Essex and Rogate in Hampshire. Added to place names are a considerable number of pubs with “hart”, “stag” and “buck” in the name. 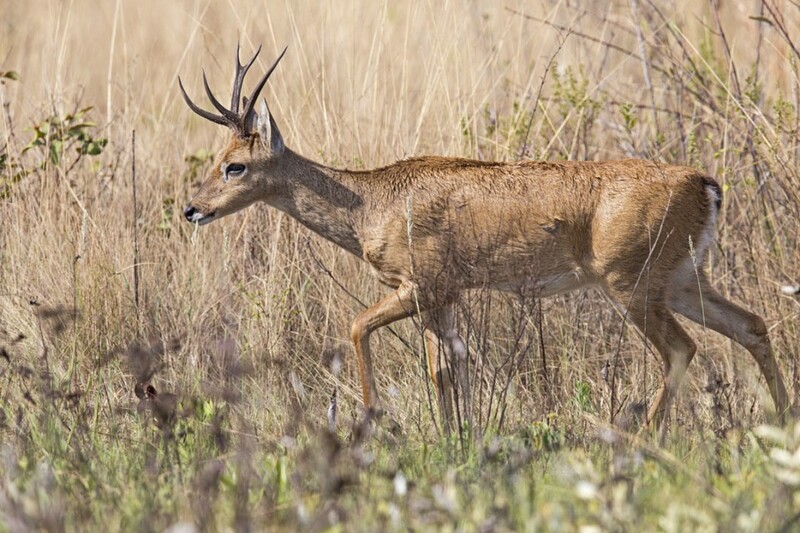 Deer appear in much of our art and literature; perhaps the oldest of these are the deer featuring in Stone Age cave paintings in southern Europe. Some artwork has featured on postage stamps and in the study of philately, there are numerous occurrences of cervids. Whitehead provides detailed lists of deer appearing on stamps worldwide and it seems that Red deer have featured on the stamps of at least 41 countries, including the £1 stamp released in Britain during 1987 to commemorate the 150th Anniversary of Queen Victoria’s ascension. Roe deer have featured on the stamps of at least 28 countries, Fallow 16 countries, Sika 14 countries, muntjac two countries and water deer on one North Korean stamp in 1959. Stamps aside, deer have been the inspiration for a great many painters. Perhaps the most famous deer portrait was one of a series of paintings commissioned from the English painter Sir Edward Landseer in 1851 by the British monarchy to hang in London’s Westminster Palace. The Victorian oil painting depicts a majestic 12-point Red stag standing on a Scottish mountainside and is entitled “The Monarch of the Glen”. Stags are often grouped according to the number of branches to their antlers, although there seems no justification for these classifications and they may vary between countries. Nonetheless, broadly speaking a stag with 12 points to his antlers is a “Royal”, while one with 14 points is variously either a “Monarch” or “Imperial” stag. Hence, Landseer’s Monarch was actually a Royal stag. Landseer was far from the only painter to feature deer in his work – Whitehead lists 118. 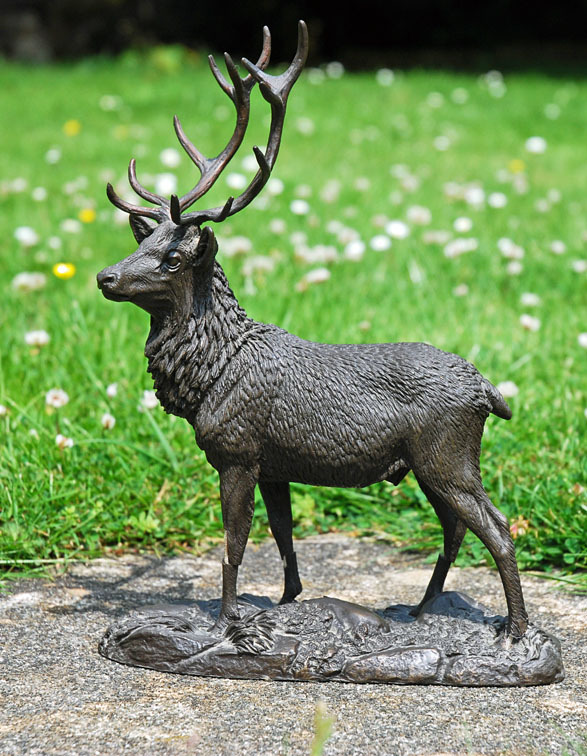 Images of deer feature heavily in ceramics, including plates, vases and statues and there are numerous references to deer in decorative glassware. Cervids (either depicted just as a stag’s head, or the entire animal) are also found on metal buttons called “gilts” that were popular among 19th century sportsmen. Deer have also been depicted on currency and, although there are no English coins currently in circulation with deer on them, Whitehead lists 13 countries that have, at some point, had coins in circulation with images of deer on them; in the same section, he also lists 11 countries that have depicted deer on their bank notes, including the 500 rupiah bank note of Indonesia. The oldest reference to a coin bearing the inscription of a deer I have come across is a Greek coin from the ancient city of Ephesus, dating back to the 4th Century B.C. Deer hold a deep-rooted place in our popular culture – few can be unfamiliar with Father Christmas and his nine flying reindeer. In his classic 1950 children’s novel, The Lion, The Witch and The Wardrobe, C.S. Lewis included a white stag that grants wishes to whoever catches it. There is a royal (12 point) stag in the 2006 British film The Queen, starring Dame Helen Mirren and, in Colin Dann’s charming story The Animals of Farthing Wood, the ‘king’ of White Deer Park nature reserve is the Great White Stag that, in the cartoon adaptation, was voiced by British stage actor Ronald Moodnick. Finally, deer also have their place in more oneiric and mystical matters. Dreams can be frustratingly difficult to interpret and, as such, different interpreters will have various interpretations of the meaning, based on the dreamer’s personal circumstances. Some suggest that dreaming of deer symbolises feminine qualities (i.e. grace, tenderness and beauty) as well as independence and virility. Dreaming of killing a deer is said to represent an attempt to suppress these feminine qualities. Others, however, see deer as representing strong friendships for the young and a peaceful life for the married. Many cultures hold deer as sacred animals and consider them to possess mystical powers. Some Native Americans consider the deer to be the vessel of the soul and that a dead or dying deer foretells of hard times to come. Many also sought less obvious bits of deer for their reputed healing properties. The stony concretions (called “bezoar stones”) that occasionally form in the stomachs of ruminants, including deer, were highly prized because they were considered a universal antidote to any poison. Some sources suggest that these stones were named after the Pampas deer (Ozotoceros bezoarticus), while others consider the name to be derived from the Persian word for “protection from poison”. Regardless, there is little scientific evidence that these “stones” do much to neutralise poisons, although there is some evidence that some of them can bind arsenic under certain conditions.